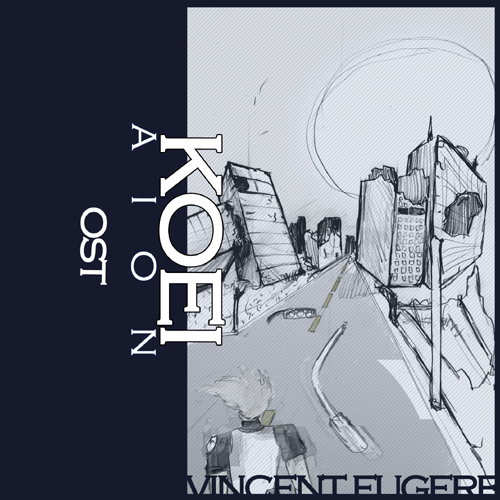 Vincent Fugère (aka Vizion) has effectively created an original soundtrack for the last man on earth, Koei. 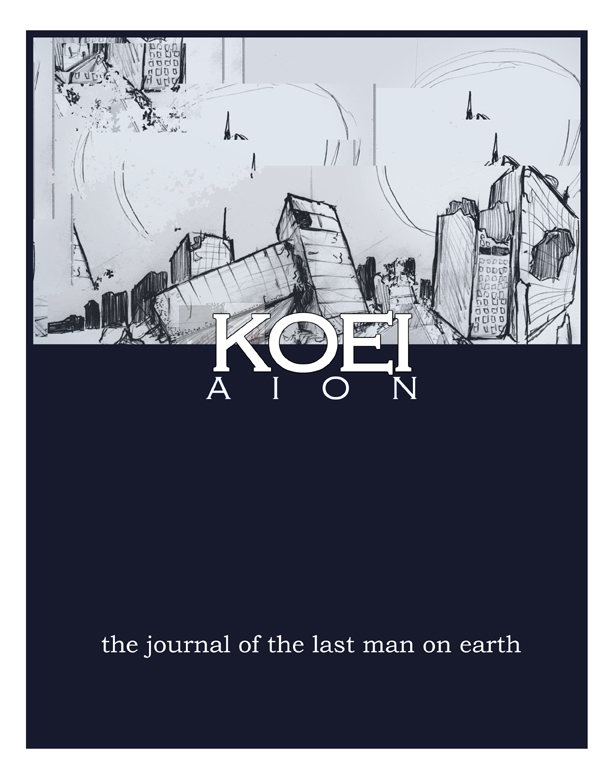 Composed from the haunting imagery of Aion, a graphic novel that itself may never fully exist on paper, which I can only imagine lurks in the creators mind as a continuously wandering and evolving existence. This is both fitting and ironic… as in these times of war and unrest, many often weigh their subconscious with the end of the world compared against the current one we live in. While theme and soundscape oriented Koei:Aion is thoughtful enough to keep the listener engaged, absent of idle wander like so many similar works. 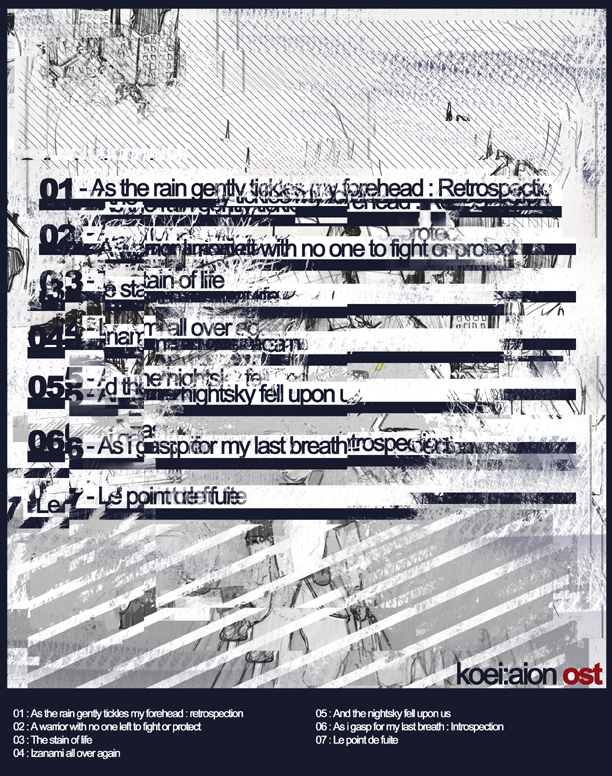 Soft, subtle, and melodic, showing a great deal of patience and space… and an intriguing concept.